Back in 2015 Roger Hall got in contact with me and said we needed to meet up and discuss a “Quiver” he had in mind for me. Roger and I have known each other since I was in my teens, and he has built numerous boards for both myself and my family over the years. I’ve grown up surfing Northland’s east coast and call Mangawhai Heads home, and after years of travelling and surfing the world, it felt like it was perfect timing for Roger and I to start a project like this together. When Roger and I caught up we discussed the idea of a 4 Board Quiver – something we would develop based on Roger’s view of me being one of the regions more keen “smorgasboarders” – in the sense that I am as comfortable riding a 9’2” Traditional Log as I am a 5’9” Twin Fin or 6’0” HP Thruster Shortboard. 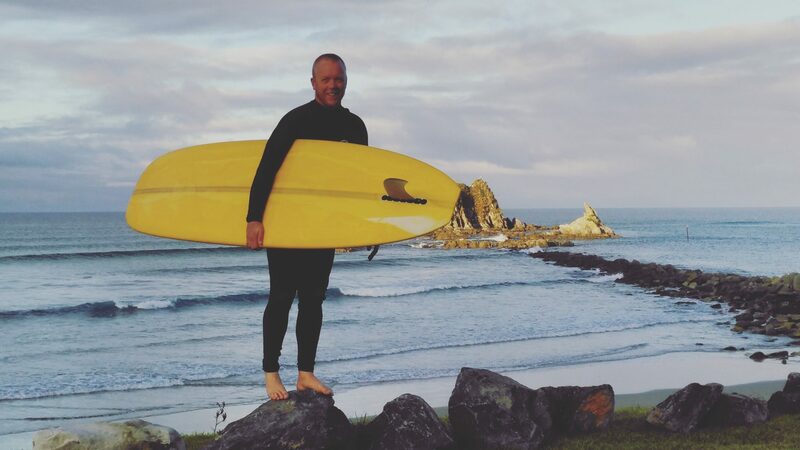 Combining my passion for riding almost any type of craft and Roger’s wisdom and vast experience of surfboard construction and design we came up with the Magic 4 – A Traditional Longboard / Log, A Mid Length, a go-to Shortboard and a Twin Fin Fish. Log Heaven – Logging is one of my true passions in surfing, and since I was 16 years old a Longboard has been my go to board. 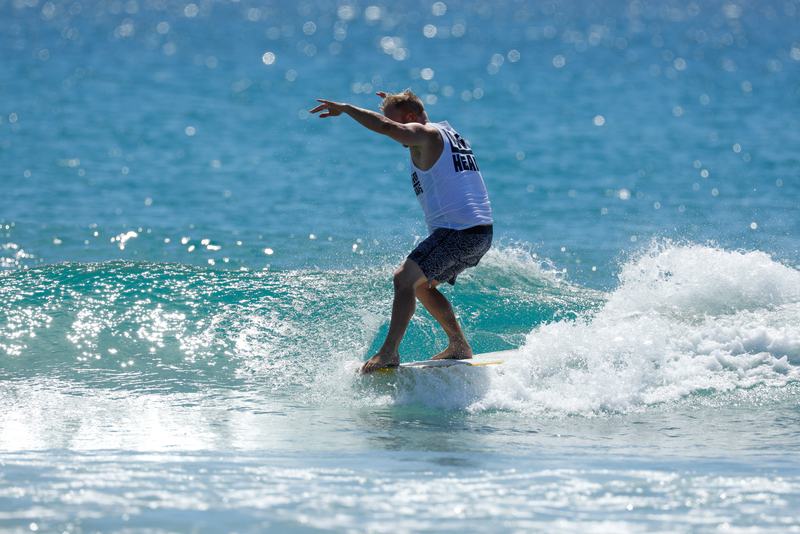 Competition, Travel and Pleasure surfing all revolved around riding longboards. Much of this was focussed on riding the “wiggle wiggle bash” type High Performance Longboards of the 2000’s. Nowadays my philosophy is if you want to do a “vert reo” on a longboard I’d prefer to ride craft that are made and suited to that style of surfing. Thus the big shift towards riding Traditional Logs. My inspirations have always been the likes of Joel Tudor, Beau Young and closer to home Trent Lillis, Kelly Ryan and Darryn McBride. 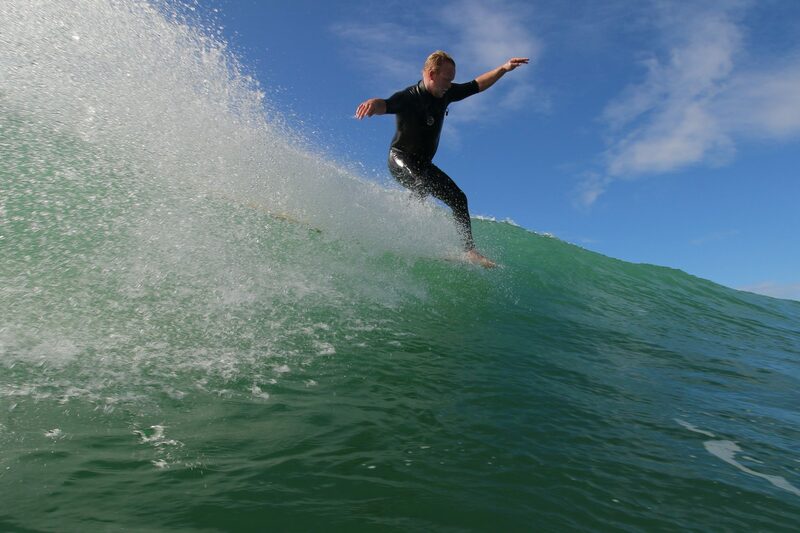 Most of the time we have great “log” waves in the North, so it was natural this was the first board we explored. Roger built me a 9’2” Classic Brand which was a great starting point for us on the journey. In line with my more purest approach to Logging, and after surfing the Classic Brand alongside a bunch of other shapes including the Vintage Reissue, Sugar Glider and Electraglide models, we settled on the 58 Special. Funnily enough it was more by mistake (or pure luck) that I ended up on that first 58 that Roger shaped. 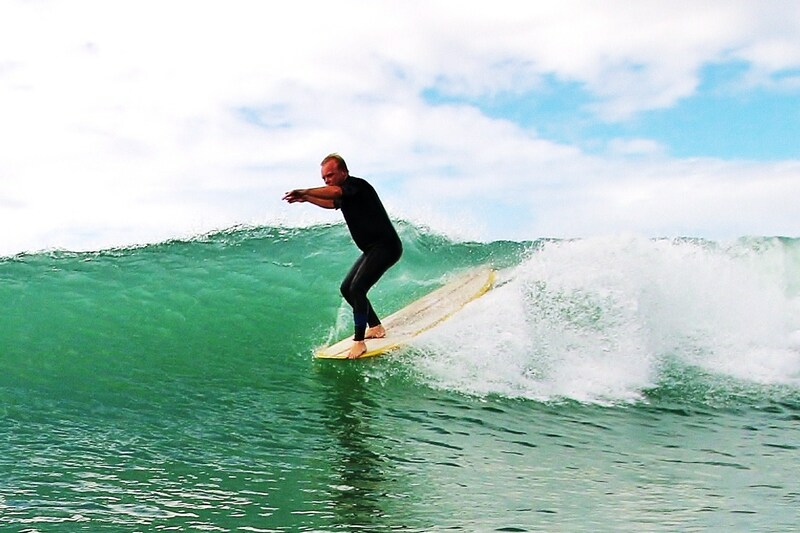 It was his 58th Birthday and being born in 1958 he decided to shape himself a one off board. Fortunately for me Roger was still deep in the journey of his Hot Curl Finless boards so I acquired the 58, and to be honest have never looked back. This board to me optimizes what Logging is for me: a GREAT Noserider, FAST off the bottom, the ability to GLIDE through turns, and all the time maintain great STYLE. Best served with a 2 -3 ft offshore wall, I can honestly say this is probably the “best” log shape I have had the pleasure of riding. Not to say there isn’t something more magical and majestic in the future, but as of today I am pretty comfortable in the knowledge that when the perfect conditions are delivered to my doorstep, this is the board I want to be riding.